A sensitive interweaving of the proposed hospital for the care of wild animals, intake building and accompanying animal enclosures was of prime importance to the Peninsula Humane Society and central to the mission for this project. The rustic site includes established oak woodlands and riparian habitat. The new hospital building will be on the site of a former quarry, while the intake building is adjacent to red-legged frog habitat. 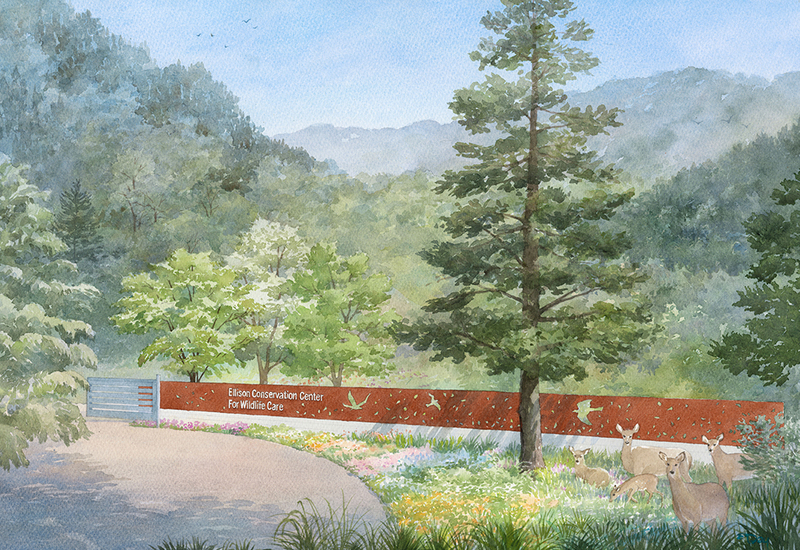 Since the latter is the public interface a robust native pollinator garden will provide interest and education along the path to view the red-legged frog pond habitat.